This is a white leather heart ring garter featuring a stainless steel heart shaped ring. 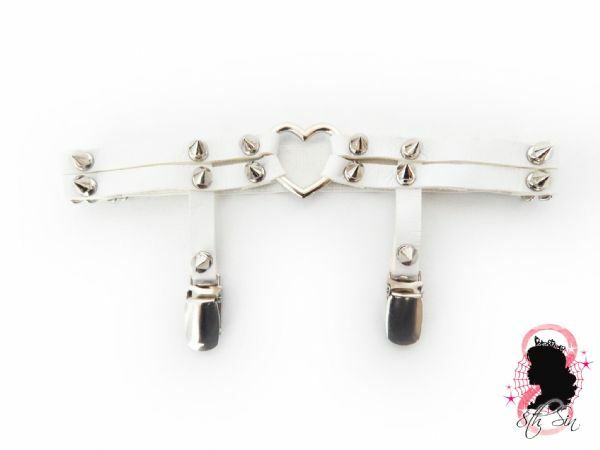 It is made from genuine leather and stainless steel rivets and spike studs. It is elasticated at the back and the elastic has an adjustable buckle to accommodate many sizes. 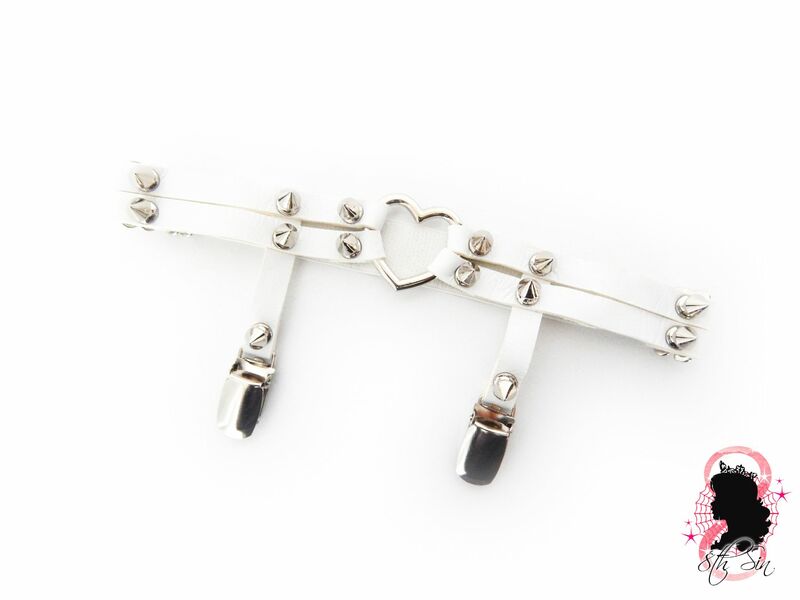 This white heart garter can be made to custom measurements if need be. The standard size fits fromÂ 30cm/12" to 50cm/20". 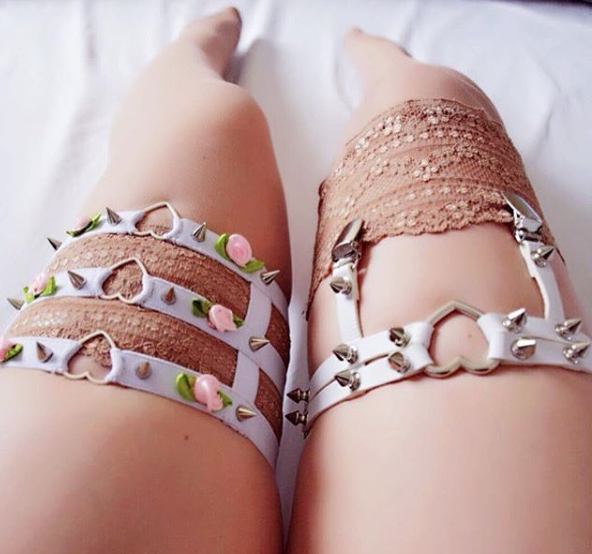 Please forward your thigh measurement via email or during checkout if you need the garter resizing.